In the Middle School, our goal is to nurture in our students a life-long sense of curiosity and a joy towards learning. Through the lens of the International Baccalaureate Middle Years Programme (MYP), we offer a rich and engaging academic program where collaboration, creativity and critical thinking are central. 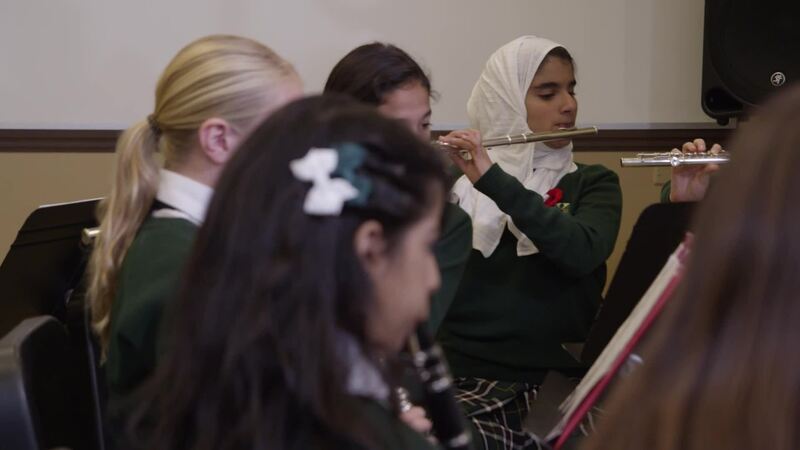 Our Middle School students learn and grow within an inspiring and supportive environment where courage, creativity and character are celebrated. Through our 1:1 program, we support the broad use of technology to help students develop academic skills, augment the curriculum, motivate learning, and prepare students for future life experiences in our technologically based world. This is an exciting time for girls—they go from being children to becoming adolescents who develop their own sense of themselves and the world around them. We believe that engaging students in activities outside of academic work builds leadership skills, character and self-esteem.